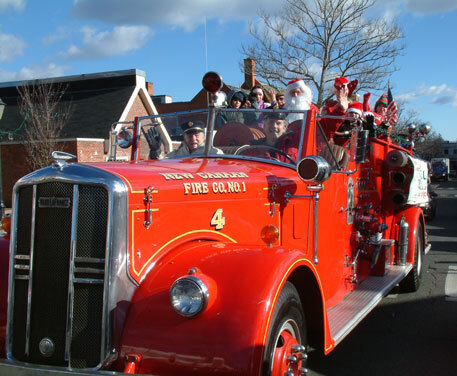 Looking for a ride on an antique fire engine? We don't go out in the rain or in the winter. Brrrrr! We reserve the right to choose which engine will provide your ride. First come, first served, according to engines in good, safe running order. We only give rides within the town of New Canaan. There are no charges for use of our fire engines, but we gladly accept donations.